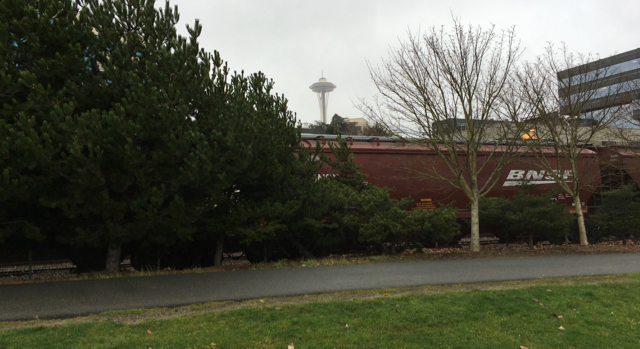 I love running in Seattle and its environs. Does the city have more air? All those tress exhaling oxygen? Better scenery? A camaraderie with the outdoor spirit than energizes the community? The northern latitude? 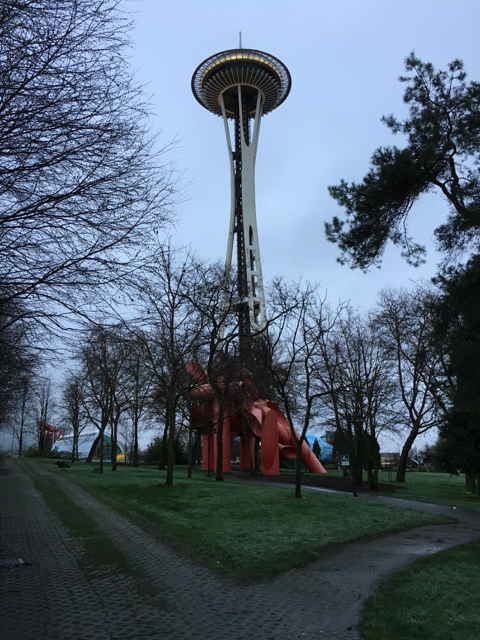 Whatever the reason, when I get to visit the Emerald City and stay long enough to lace up the shoes and hit the streets, I just run, well, Easy. I know that phrasing might sound odd or at best like cheap poetry, but another word does not readily emit from my fingers or brain. I just run Easy. What do I mean by Easy? I do not mean slow or that I take it “easy.” I do not mean that gravity lets up its grip on my treads. And I certainly do not mean that the wind is always at my back. Easy here represents perhaps a Zen attitude to running. The miles fall behind gently. Minutes pass in seconds and even in the rain and wind (both of which I experienced on one run this week) refresh rather than denigrate the experience. Another word might be Flow, often used to describe performing an activity autonomically. I may go so far to say that I run in the Zone when in the Pacific Northwest. That though may be going too far. The Zone often represents a lack of knowledge of the surroundings because the participant is so focused. Yet, I feel connected to the people, sights and sounds that I am experiencing: A best of a train horn; traffic; wind and birds; and fellow runners and cyclists to whom I wave. I stop and take pictures on my phone when something strikes my eye. A friend of mine, Stephanie, who has spent time in the area and is also a runner definitely feels this magic too. She agrees that she just runs well in the Pacific Northwest. I have been running in Washington since early in my 10 year running career. My first ultra marathon took place on Mt Si in 2011 about 30 minutes east of Seattle. Numerous business trips to Seattle, Kirkland, Redmond and Bellevue have allowed me to find local trails and routes. The various bodies of water make for enjoyable companions and destinations. Drivers seem aware of runners and act accommodatingly. And as written above, all those lovely tress sending fresh O2 into the air. This week, I ran a 7.4 mile out and back along Pugent Sound and then the next day what I titled the new office 10K (just longer actually). 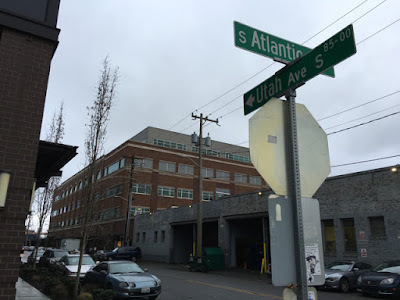 I did a 6.4 loop from my hotel up to the Space Needle and then back down along the waterfront to our new office in SoDo (South Downtown) before returning to my starting point. Both runs were fun, enjoyable, and great ways to start each day. And, well, Easy. Only downsides here was that I’m not sure if they were expecting such a crowd as they did not have nearly enough servers and sometimes it would take a really long time for service guy to come. But at event space NYC they tried to keep a smiles on their face.